No.6959 ‘Peatling Hall’ was the first of the 'Modified Hall' class introduced by Hawksworth in 1944. 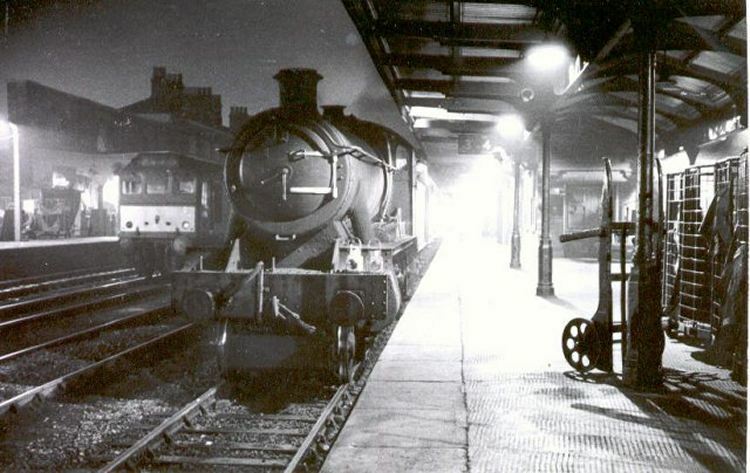 This photograph was taken at Worcester Shrub Hill Station on 23rd October 1965. The loco had arrived with the 18:05 from Hereford to Paddington. This is believed to be the last steam hauled passenger train between Hereford and Worcester. The loco had worked a passenger train to Hereford that same afternoon. Robert Pritchard, who took this photograph, clocked 'Peatling Hall' at 80mph near to Bransford Road on this historic occasion.